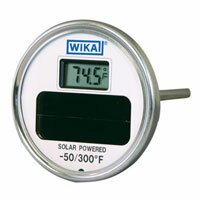 Trend and WIKA Solar Industrial Thermometers free you from toxic mercury while offering fast, accurate, and easy-to-read temperature indications. 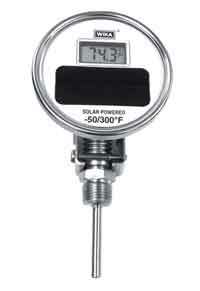 This digital thermometer has a 3" diameter dial, back connected with an accuracy of +/- 1% of full scale. -50°F to 300°F and -50°C to 150°C. 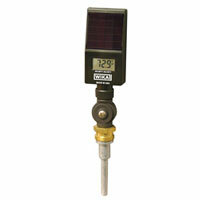 This digital thermometer has a 3" diameter dial, adjustable angle with an accuracy of +/- 1% of full scale. -50°F to 300°F and -50°C to 150°C.